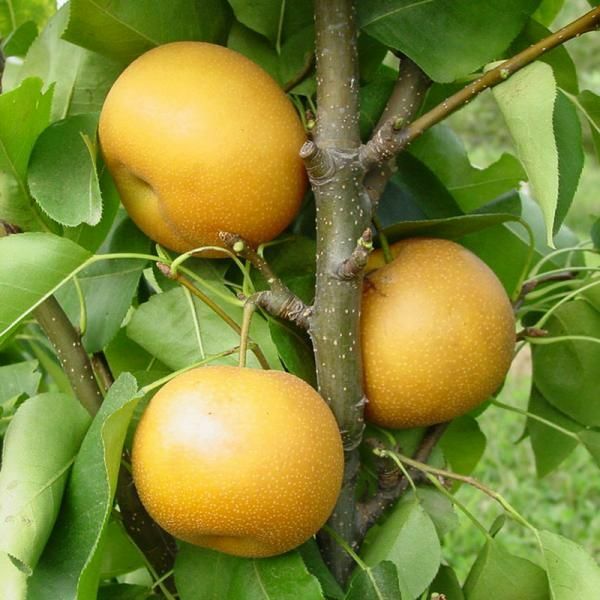 Asian Chojuro pears, originating from Japan in 1895, are a popular variety known for their butterscotch flavor. Pears have green- to yellow-brown russeted skin and crisp, juicy, white flesh. Ranked one of the best flavored Asian pears. Fruit is available to harvest in late August. Keeps well in storage (up to six months! ).